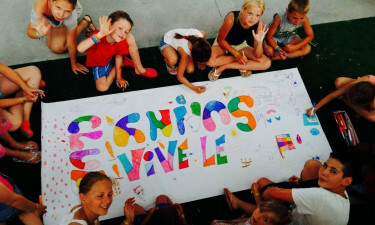 Les 3 Vallées luxury camping has wow factor for kids and the peace of natural surroundings for you. The 2,500 square metres of aquatic park will have the kids enthralled while you settle into a poolside sunbed and enjoy the panoramic view of the Gers countryside. Direct access to the lakeside beach provides a host of water activities for the whole family including kayaking and canoeing. This luxury camping site books up quickly, so ensure your place by filling in the reservation form below. 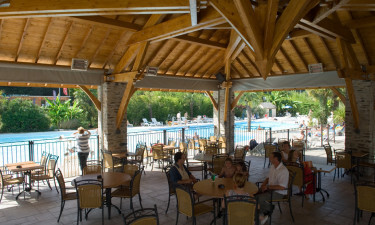 Les 3 Vallées offers camping luxury for everyone. Single travellers looking for a relaxed get-away and time spent fishing on a lake will not be disappointed. Couples looking for a more energetic camping holiday can expect a good work out at the tennis court, fitness centre, and group sports at the multi-sports area. Parents will appreciate the organised activities and swimming lessons for the little ones. A LuxCamp spacious mobile home located in a secluded site can comfortably accommodate the most active of families. 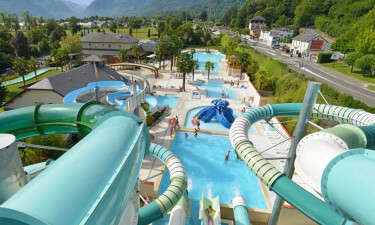 Here are only four of the many reasons for choosing Les 3 Vallées for your upcoming camping holiday. 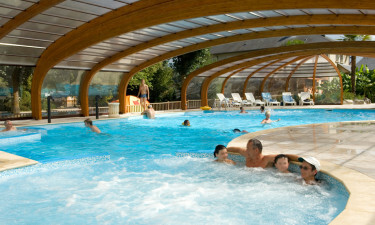 With a bathing area of 1800 square metres that includes three heated pools, Les 3 Vallées is a water sport paradise. The littlest ones can play and splash to their heart’s content in the paddling pool while the older ones enjoy the thrill of 5 water slides and the swimming river. When the youngsters are having the time of their lives, parents can close their eyes and relax by the side of the pool on a sunbed and listen to children’s joyous laughter. For more serene moments, head to the swimming pool or artificial lagoon. What says luxury camping better than lakeside access? During the day the sparkling waters are host to non-motorised activities such as pedalos, kayaks, canoes, and of course, swimming. The shore is humming with beach volleyball and games and activities at the shady beach club. After the excitement of the day, the shoreline is perfect for a refreshing evening stroll. For those seeking a quiet and meditative pastime, a second naturalistic lake has been set aside for fishing. No matter what your mood, Les 3 Vallées lakes are a highlight.